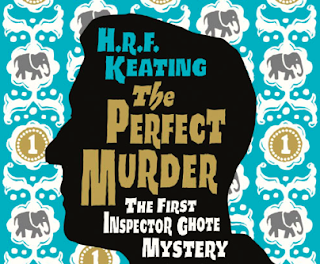 Let's hope a similar fate doesn't befall the upcoming canonisation of four of HRF Keating's Inspector Ghote mysteries. Created in the 1960s, the books conjure a Bombay the author, who died on Saturday aged 84, didn't visit until he wrote the tenth in the series (of 24). The language is especially atmospheric, from such words as 'dacoit' - still in use today - to the repetitive rhyming of character Arun Varde in the first work, The Perfect Murder. In his new introduction to that book, Alexander McCall Smith states: 'Ghote himself is one of the great creations of detective fiction. Unlike many fictional detectives, who are often outsiders, possessed in many cases of personal demons, Ghote is utterly loveable.' The new editions are published next week, on 7 April, and there could hardly be a more fitting tribute.